There would be permanent damage in hardware if the device operates at the voltage over rated value. Meanwhile, reliability could be influenced when the device has a long-term operating at maximum voltage. Can be waked up by internal RTC or wakeup pins（IO9/10/11/12/13）. 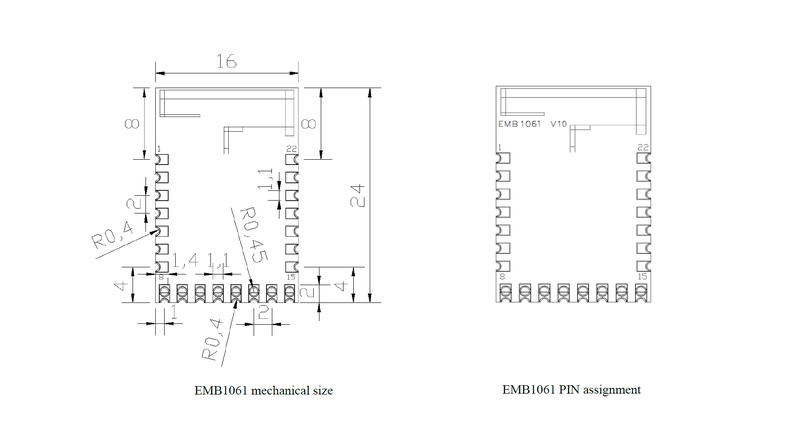 EMB1061 is an embedded BLE module by MXCHIP. 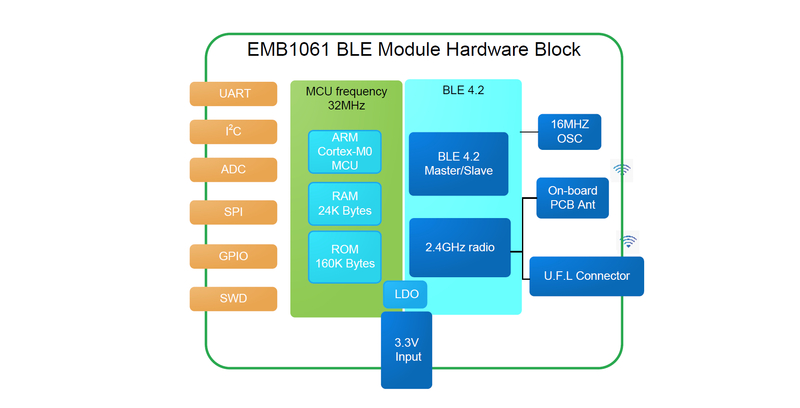 It integrates a BLE4.2 single mode SOC, including ARM Cortex-M0 Core, BLE/2.4G Radio, 24KB RAM, 160KB Flash and rich peripherals.